Wi-Fi is coming to a bunch more Tube stations, as Virgin Media reveals how much you'll pay to surf the Web next year. Wi-Fi is coming to a bunch more Tube stations this year, and Virgin Media has revealed how much you'll have to pay to surf the Web when the current run of free connection ends. Yesterday Virgin Media and EE anounced they'd teamed up to give free Web access on London Underground to anyone on EE, Orange or T-Mobile. Virgin Media and Vodafone customers will also continue to get free Wi-Fi next year. At the moment Wi-Fi is free for everyone, but next year anyone on O2 or other networks will have to buy a daily, weekly or monthly pass. Daily passes start at £2. Right now, there are 72 stations with subterranean Internet access. By the end of the year another 20 will be added to the list, mostly extending further along the Northern, Victoria and Picadilly lines. Early next year we'll get another 28 stations offering Wi-Fi -- taking the total to 120. Those stations that will allow you to do your Christmas shopping on your commute are Belsize Park, Holloway Road, Russell Square, Chalk Farm, Camden Town, Bounds Green, Finsbury Park, Mornington Crescent, Highgate, Hampstead, Seven Sisters, Lancaster Gate, Swiss Cottage, South Kensington, Turnpike Lane, Notting Hill Gate and Wood Green. Sarf of the river -- at this time of night?! -- Clapham Common, Balham and Oval are included in this batch. The rest of the Northern Line south of Kennington is supposed to be getting Wi-Fi at some stage, while those portions of the Bakerloo, Jubilee, Victoria and District lines that cross the river are already covered. That will mean most of south London's Tube stations are blessed with Wi-Fi, although there are no plans for the London Overground or much of the Docklands Light Railway to be added to the list. 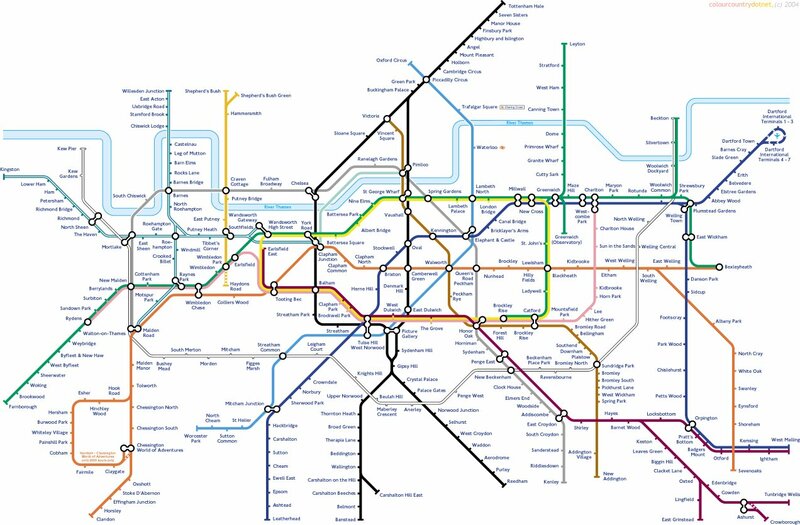 Really though that widespread coverage is more of a reflection of the shocking lack of Tube stops in South London than a concerted effort on TFL and Virgin's part: of the Tube's 287 stations, only 29 are south of the Thames. Tubefact! Do you use Wi-Fi on the Tube? If you're outside London, do you want Wi-Fi on your commute -- or is it the one time you get any peace from email and Facebook? Tell me your thoughts in the comments or on our Facebook page.